Everton make the trip to the Crown Ground, Accrington to take on Stanley in a repeat of the Blues very first league fixture, 125 years ago. It was 8th September 1888 when Accrington made the trip to Merseyside to take on the Toffees in the opening fixture of the inaugural season of the Football League. Everton were victorious that day, winning 2-1 at Anfield thanks to a brace from George Fleming. Both sides went on to enjoy a mixed season, finishing level on 20 points each with Accrington in 7th to Everton’s 8th in the final table. Since that date the two sides have taken dramatically different paths. Everton have gone on to become nine times Champions of England, while Accrington Stanley withdrew from the Football League in 1962 before securing a return in 2006 after winning promotion via The Football Conference. 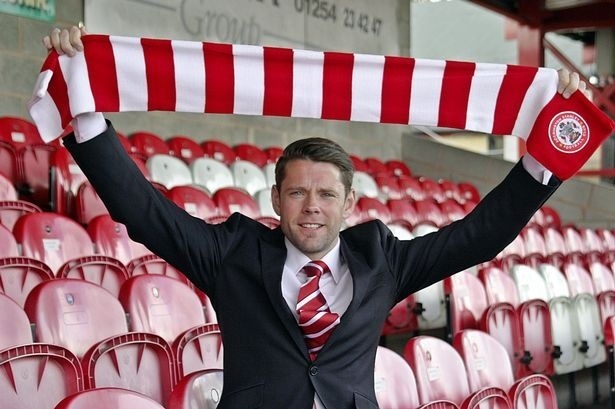 The League Two side are now managed by former Everton record signing James Beattie and he will be hoping to extend a so far unbeaten pre-season against his former club. Everton return from Vienna to play their first fixture on home soil since the appointment of Martinez and will be looking to bounce back from the 2-1 defeat they endured in Sunday’s fixture against Austria Vienna. Buoyed on by the typically passionate Everton support, the Blues will play in front of 1,622 Evertonians, with the club selling out of tickets for this pre-season friendly earlier in the week. Accrington is just 45 miles from Liverpool and the Blues travelling support will make the journey eager to see a glimpse of the tactical changes implemented by Everton’s first foreign coach. Martinez does have a number of players who returned to training on Monday, including Jelavic, Kone, Coleman and Howard, available for this fixture, but it remains unlikely they will figure in this match. The squad will therefore largely consist of the 23 who travelled to Austria last week, although Martinez may field a much stronger line up with fewer changes as he looks to progress the fitness of his senior players. Alcaraz may figure at some point across the 90 minutes, but the new Everton manager remains cautious of pushing the Paraguayan too hard after the injury problems he suffered last year. The four latest returnees may play a small part from the substitutes bench, but with each player on a personalised programme, the Everton back room team will be reticent to push too hard too soon. Available Squad: Joel, Howard, Springthorpe; Hibbert, Coleman, Browning, Baines, Oviedo, Jagielka, Distin, Duffy, Alcaraz; Gibson, Osman, Pienaar, Fellaini, Junior, Grant; Gueye, Naismith, Mirallas, Kennedy, Vellios, Anichebe, Kone, Jelavic, McAleny. If you are unable to make the trip to Accrington, the game will be live on EvertonTV, whose coverage of the first game was excellent. Single match or Multi game packages are available to buy from the website.